Do you want to know how to get to the bongeunsa (station)? There are many ways you can get to bongeunsa (station) such as public transportation (bus, subway / metro), taxi and Blacklink limo/transfer/shuttle service. Don't sweat outside waiting for other transportation with your luggage. Make a round trip reservation with Blacklink as you plan for your trip. It is easy, convenient and available 24/7. Then, the assigned Blacklink driver will greet you at the arrival and will drive you to the bongeunsa (station). You can use Blacklink for not only hotel but also Gimpo Airport (GMP), Myeongdong, Jongno-gu, guesthouse, resort, airbnb, lodging and anywhere you want to go in Korea. Check out Blacklink customer review posted below. Bongeunsa is a Buddhist temple located in Samseong-dong, Gangnam-gu in Seoul, South Korea. 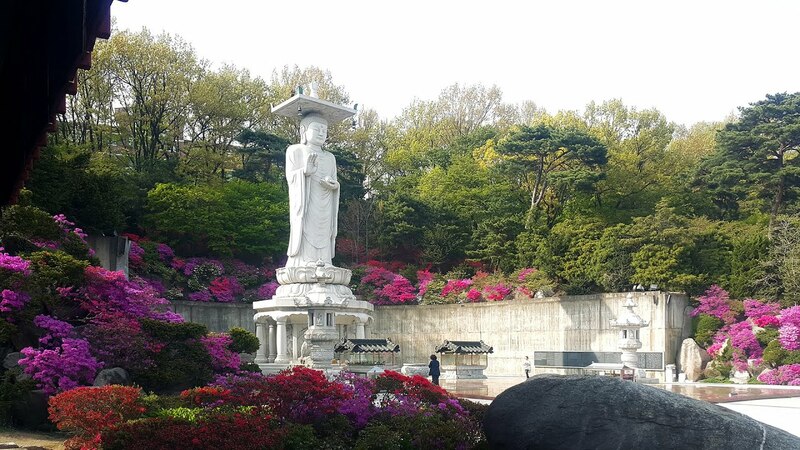 It was founded in 794 during the reign of King Wonseong by the monk Yeon-hoe (Hangul: 연희), then the highest ranking monk of Silla, and originally named Kyongseoungsa (Hangul: 견성사; Hanja: 見性寺). It is located on the slope of Sudo Mountain, across the street from the COEX Mall. The temple is a notable tourist destination, offering "Temple Stay Program" in which visitors can lead the life of a monk for a few hours. The area on the main street from the Temple to Park Hyatt Hotel, has a large concentration of vegetarian and other upscale restaurants that serve Korean cuisine with a modern twist.